I have noticed that whenever my husband decides to cut back on calories the teensiest bit the pounds start dropping off him. While, since I’ve gotten older, I could eat only 1 pretzel a day and the numbers on the scale do not vary by one ounce. I have done a “scientific survey” of a couple of my women friends and they have had similar experiences. I have read many articles on weight loss that list reasons why older women have trouble losing weight. It can be hormonal. The thyroid gland may be wearing out or it can be an increase of the stress hormone cortisol. Or I could be eating too much gluten or high fructose corn syrup. I have read even the fat cells themselves resist being eliminated when they notice you are not eating as much and that epigenetics may be a factor. The way I understand how epigenetics works is that something that happened to my ancestors may influence what my body is doing today. Like, if your ancestors experienced famine it can affect how your body reacts to what it perceives as starvation. I have been thinking that, because I am half Irish, some of my ancestors may have gone through the Potato Famine and, therefore , whenever I try to reduce my caloric intake my fat cells start screaming “FAMINE!, FAMINE!” and my metabolism shuts down. 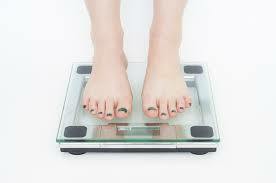 Speaking of metabolism, according to Web MD our metabolism decreases by 5 percent a decade after the age of 40. So by the time I am 70 my metabolism will be down by 15 per cent. Then I will probably have to live on half a pretzel a day. Another discouraging thing is where my body has decided to deposit the fat as I have gotten older. My body seems to prefer storing a lot of the fat in my upper arms. That is why I always wear things that have ¾ sleeves or longer. Except for occasional lapses like my son’s wedding when I wore a sleeveless gown. Well, it was July in Southern California. But when I saw the wedding pictures I thought “Why did the photographer take that picture that showed my arms like that? And I should have worn one of those dresses with the filmy ¾ sleeves or a wrap even if it was 80 degrees in the shade.” My mother had big arms when she got older so it is probably hereditary. You would think that when I diet that I would lose some of that weight off my arms. What happens is, I lose weight off my face and it is replaced by wrinkles so that I look like a prune. My doctor said the face is where people lose weight first. I told him I do not like the look. Well maybe it’s time to run up the white flag and accept the fact that I am not going to win this fight and learn to accept the heavier version of my former self. Don’t get me wrong, I am still planning to eat healthy. But I have to eat more than 1 pretzel a day. This entry was posted in My Life and tagged body image, weight loss on July 30, 2014 by Deborah Drucker. hi. just back from a nearly one hour walk with Katie, up and down the neighboring hills and such, and harvested fresh figs from a tree branch overbending the sidewalk. some of the key to good health is definately moving the body! can’t wait to return to dance classes after a bout with bronchitis, so i’m strengthening my endurance once again in preparation for the hard workouts in the dance classes. Get on your machine now for heaven’s sake! Hi Debbie, I think you’ve found a new career. I love the humor that you put in it. Thanks for cheering up my day. It is true that guys can lose weight so much easier than women. I’ve put a few pounds on recently since I hurt my back about 6 weeks ago and so I’ve been less active. Also, I’ve been home more and then things get very tempting at home to eat. I’m planning to lose those few. I hope it comes off easily but at least I’m up and about again but I know I have to watch it. BTW, you looked lovely, really really lovely at the wedding. I never noticed the arms. Wow Deborah! You’re humor is so sweet and to the point. Like all baby boomer, your blog has begun with a bang. But seriously, keep writing from your heart and in so sharing your Self with the world. May you continue to be inspired to offer the wisdom you hold as someone from a generation so greatly underappreciated by mainstream culture. Kate, author of blog It’s great to be under 30. Thank You Kate. I can’t wait to see your blog. And thanks for appreciating my baby boomer wisdom. Don’t forget, Debbie, that even a single pretzel contains sodium. And we all know sodium is yet another potential harmful substance (at least in excess, and one pretzel might be considered too much by some authorities) and to be avoided in our quest for good health. I think the solution is to give up food and never stop exercising. We are related through marriage, yet we may share some of the same genetic imprints, just by way of osmosis or similar thought patterns. I mean, I gain weight, too. Besides, anything is possible, except perhaps for losing weight. You may indeed have found a new career…your articles. May become for you every bit as nutritious and satisfying as eating even only half a pretzel. I, for one, am thinking it’s worth a try. You’re good! Audrey, thank you for pointing out that pretzels contain sodium. I may have to switch to the low sodium variety. Yes give up eating completely and never stop exercising. Maybe that will work. Kate thanks for reminding me of the possibility of getting into a pretzel yoga pose. But I fear that since I have not done yoga for a while that I may get stuck like that. Two decidedly reasonable non-linear observations. I can only add, food for thought. Wow…I am honored to have such a witty and beautiful (on the inside AND out) mother-in-law. Even though I can’t necessarily relate yet (I’m sure I will!) I loved reading your blog…keep ’em coming! And I agree with Kate…let’s get into yoga! I miss it and I would love to spend more time with you. Namaste, Drucker girls! You may use my yoga room anytime! i have two bags of pretzels to nibble on after our session. love the wheat ones!